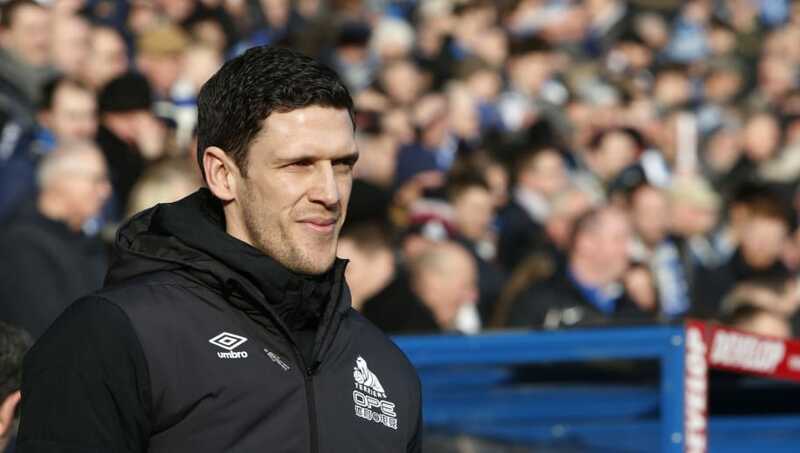 ​Huddersfield Town's caretaker boss Mark Hudson praised his side's efforts against Manchester City on Sunday afternoon, despite the Terriers slumping to a 3-0 loss against the Premier League champions. Pep Guardiola's side took the lead shortly after the quarter hour mark, with Danilo's rifled effort deflecting of Christopher Schindler's head and beyond the helpless keeper. The visitors offered little else in terms of threat for the remainder of the half, but a quick-fire double after the break courtesy of Raheem Sterling and Leroy Sané respectively consigned the Terriers to their defeat. Speaking after the ​loss, via Sky Sports, Hudson was full of praise for his side despite losing the match, and said: "I asked them to take on board something in a week and show what they're about and they did. We tried to cause them problems but the deflected goal put us on the back foot a little bit. I felt we were growing into the game at that point, the shape was good. "It was a tough early part to the week but we've been focused for the last few days and you saw that today. t's been a busy week - the boss (David Wagner) came in to say goodbye on Monday. It was tough, emotional as he created so many relationships within the club. Everyone stuck together to try and lift the mood and the players really enjoyed this week. The west Yorkshire side will look to bounce back a week on Tuesday, when they host Everton at the John Smith's Stadium. The ​Toffees have been far from consistent of late, and lost their last match 2-1 away to Southampton. Needless to say, a win is vital for the ​Terriers, and a big three points would be a huge boost in their battle to avoid relegation.